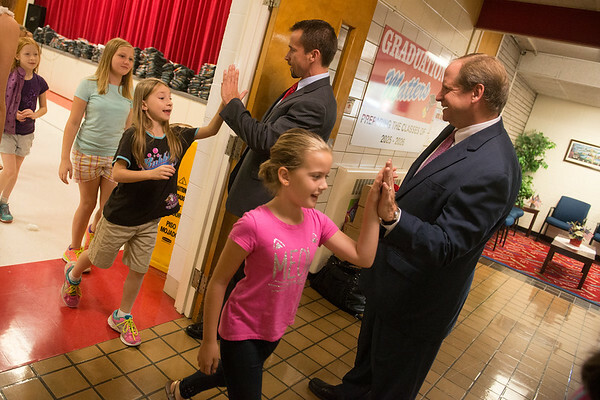 Scott Vorhees, left, and Patrick Martucci receive high-fives from Mark Twain Elementary students on Wednesday in Webb City. The students were saying thank you for the donation of sweatshirts and stocking caps from the attorneys Johnson, Vorhees and Martucci. The law firm annual gives away warm clothing to area students, donating around 2,000 items to students in the Webb City and Neosho districts.